Living History Displays | The Vikings! Although the people of the Dark Ages lived in wooden buildings, it is known they used tents when they travelled. Our Living History displays are therefore based on tented encampments, such as are now known to to have accompanied the Great Army when it moved around the English countryside. Members of The Vikings will live in these tents during the event, which will be fitted out with period furnishing and cook their meals on open fires. All this will be on display to the public during show hours, with a broad range of crafts also being demonstrated. The public are encouraged to closely examine the work of these specialists, to ask questions and even, in some cases, have a go themselves. 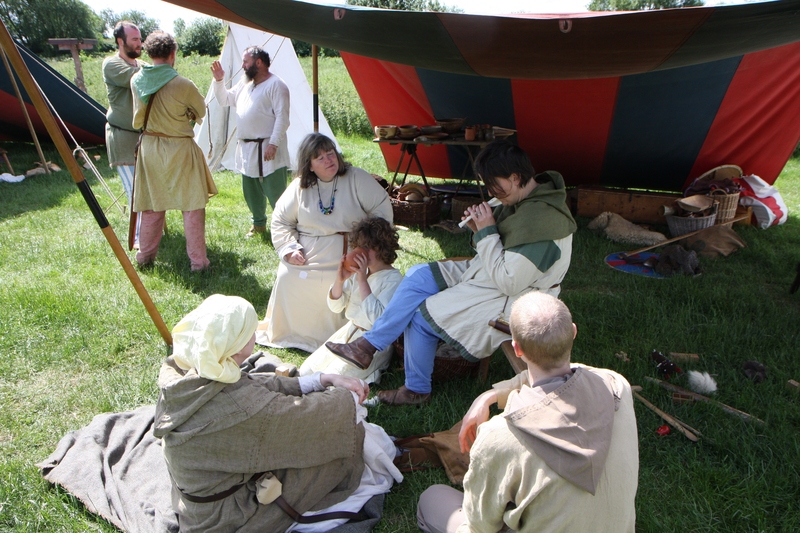 As part of the display, short acted scenarios can be included in our representation of village life, for example the local Jarl holding court and judging the local miscreants.